My Flickr is awash with photos of flowers at the moment. A trip to the Southbank last weekend found us in the middle of the Festival of Neighbourhood with lots of pretty flowers. 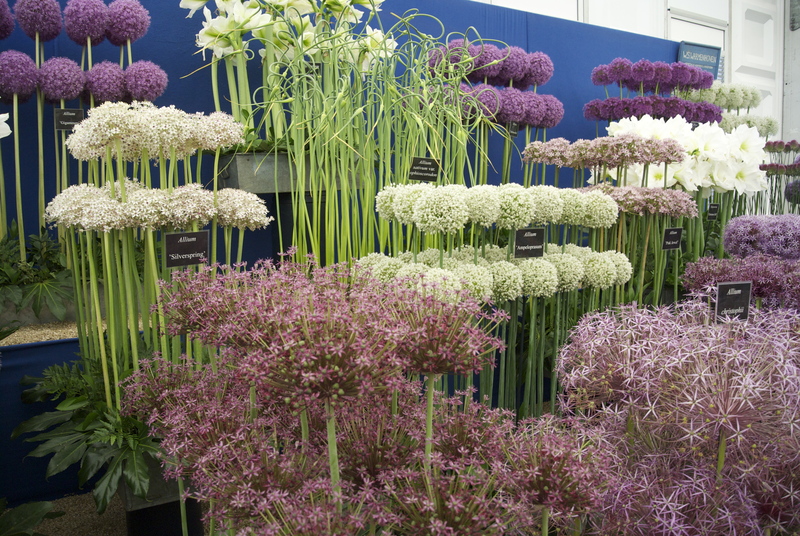 And on Thursday, my Mum, my Mother-In-Law, and I had tickets for Hampton Court Flower Show. I went for the first time last year and loved it. I’m a terrible gardener – my garden is a home for very many weeds and until recently, was storing tyres for our old Mercedes A-Class – but there is something appealing about wandering round the stands and gardens. 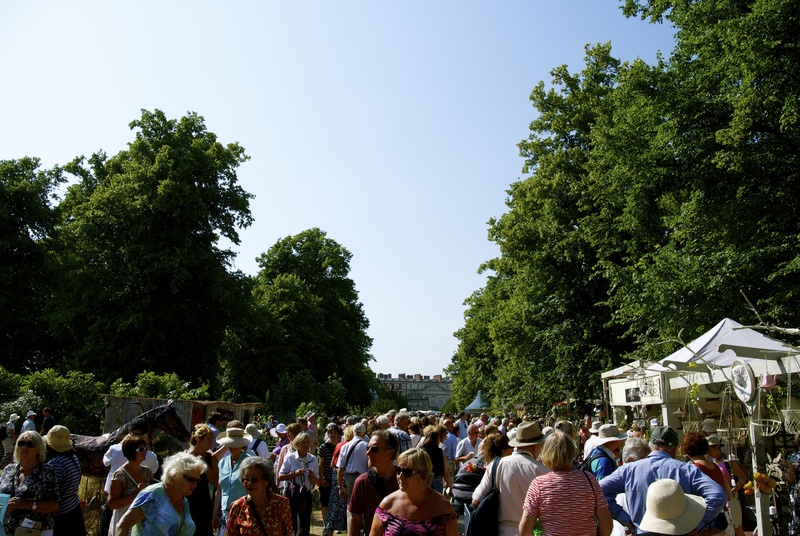 Last year, we went on a preview day (and nearly literally bumped into the Duke of Kent – the fame!) but this year we decided on getting an ordinary ticket. Wow, it was busy. Way busier than last year. I think the beautiful blue skies certainly helped. At certain points it was unbearably claustrophobic which was a shame as I think I missed out on a lot of the exhibits. It was still a really nice afternoon, especially as I got to spend time with my Mum and Mother-In-Law – sitting by the Long Water chatting was so relaxing. I hope they both enjoyed themselves. I consider myself very lucky that they both get along!! 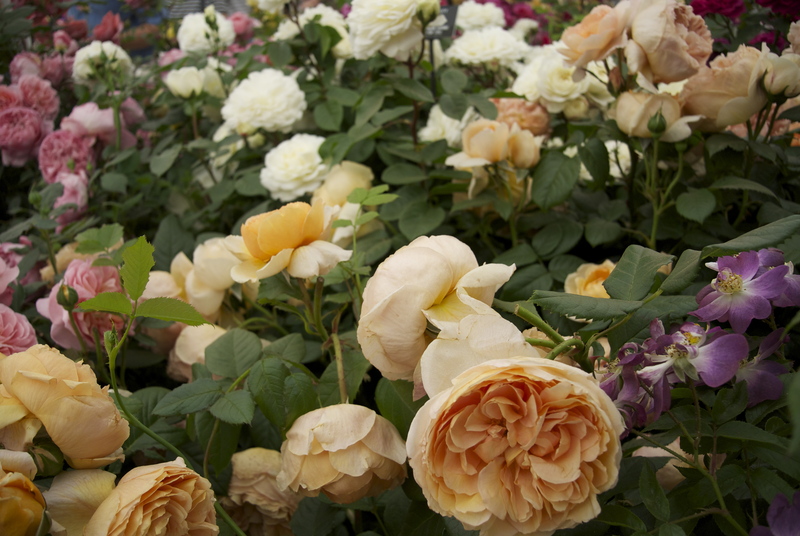 The rose marquee was my favourite last year, but it was rammed full of people so I didn’t get to see very much of it. 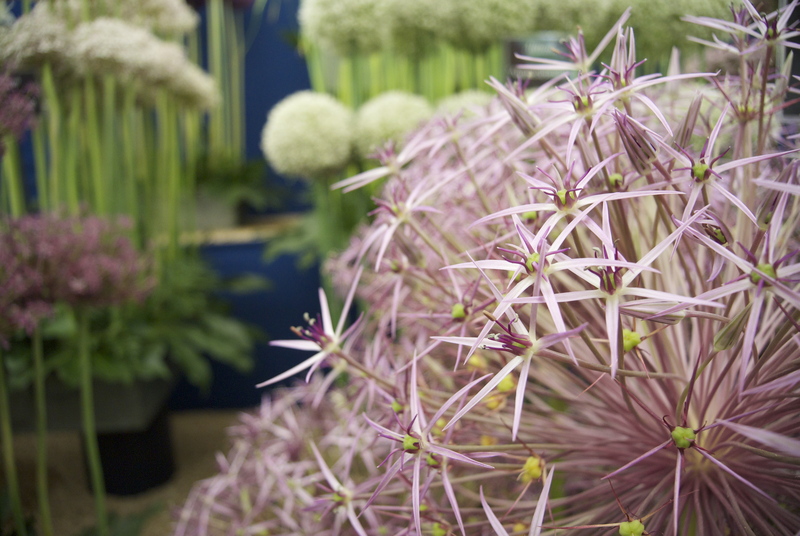 Alliums were everywhere – I think they are the new trend for this year. 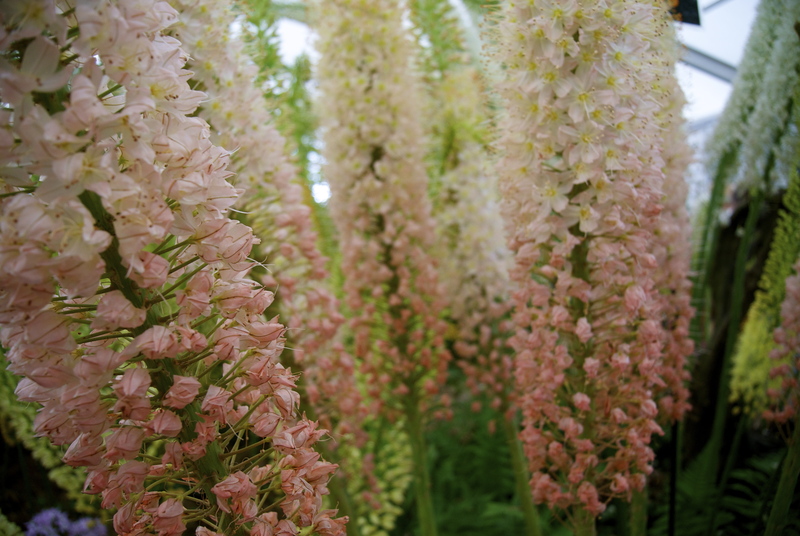 I loved them and I want them all over my garden. 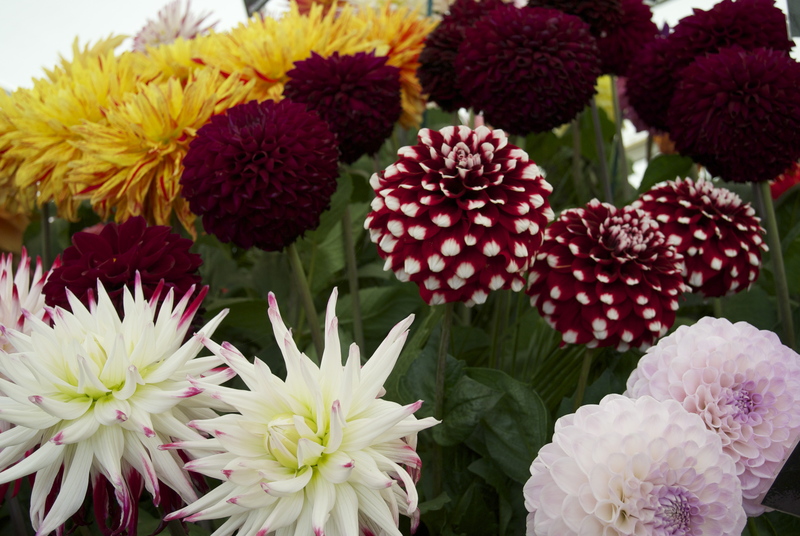 By the time we got into the floral marquee, it was much quieter, and I got to see some of the flowers, like these beautiful dahlias (above) and the gorgeous foxtail lilies (below). My pedometer told me we’d walked almost four miles by the end of the day (I’m sure at least one of those miles was the trek back to the car) but the actual show felt smaller this year. I wasn’t too keen on the new layout as it caused too much of a bottleneck at the start, but I loved it more once the crowds died down. I was disappointed that I didn’t get a Hampton Court tote bag – I kept seeing them everywhere but I couldn’t figure out where people had got them from! It was such a glorious day though, despite all of my niggles. And we got free cheese so I can’t complain too much. My garden’s also used to store car tyres. That aren’t even mine.